Hi Tristan. It’s been a while since we last spoke to you. Would you tell us and our readers what have you been up to? Hey Mark. I have been very busy since my last interview, with multiple trips back and forth to the States. I also did some work for Calvin Klein in the form of a promotional event in London a couple of months ago. One of my most enjoyable jobs since modelling was my shoot for Bikkembergs in Belgium. The shoot in Belgium was for [the Belgian fashion designer] Dirk Bikkembergs’ book, which is being released in November 2013. My most exciting job so far was a shoot for a certain magazine in London. However, I am keeping this quiet until the image is released! Can you guess which magazine? Those of us who follow your social media profiles would know that you have been also busy conditioning your body and even losing some weight. Would you tell us more about that, please? 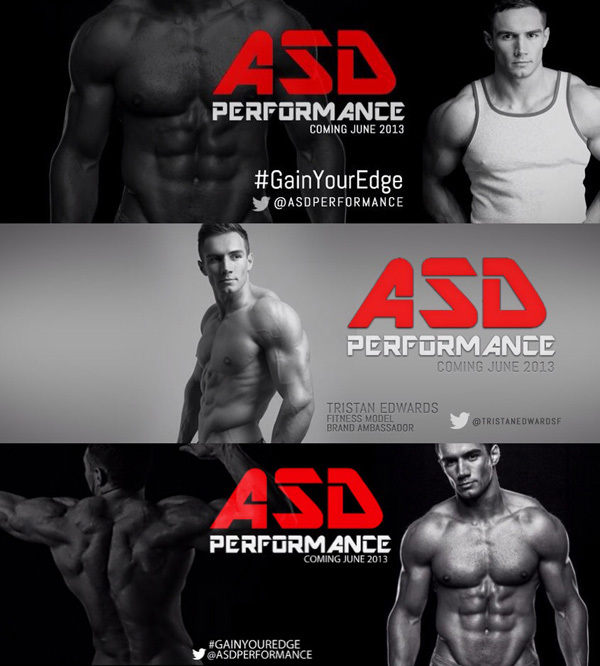 Besides modelling, I have also begun developing my own sports nutritional supplement line: ASD Performance. I am very excited about this and the products will be released next month [June 2013]. My products are aimed to help every type of consumer; from the everyday man/woman to athletes and fitness models who want to achieve their ideal physique. Unlike many other brands that just focus on promoting mass development and bodybuilding, I am aiming to promote the importance of achieving an aesthetic physique that can be admired by almost everyone. Since losing all the weight I have really begun to notice the importance of aesthetics over mass. 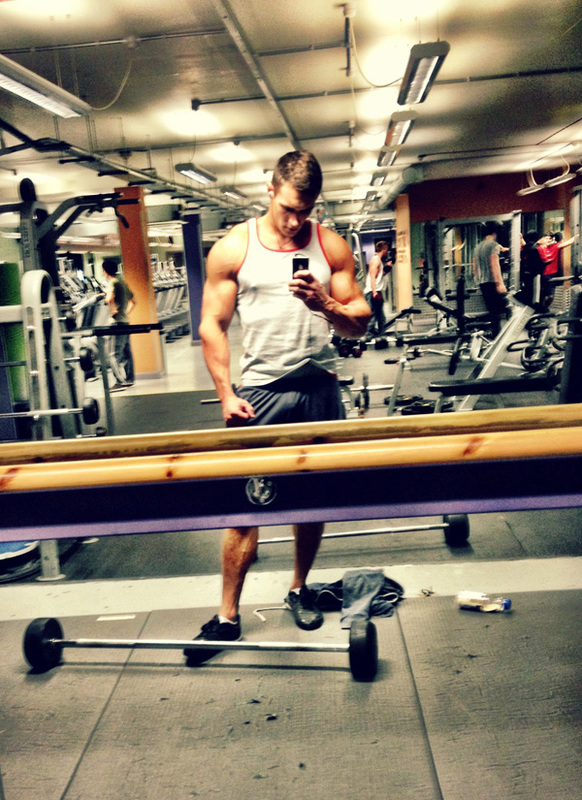 And I am confident my products can help anyone achieve their own ideal physique. Having your own supplements range is like a dream come true for most fitness models. Would you tell us how you achieved that? Yes, it is most definitely a dream come true. I achieved this by putting in a lot of hard work! I have spent hours working towards the release and production of ASD Performance. I created the label design and logo entirely myself. I have spent hours designing the website layout. I have done first hand research into what the most desired nutritional supplements are, to ensure I can provide what is in demand. Most importantly – I have been building up a reputation that gives me great credibility when it comes to recommending my products. Tell us about the supplements line: what types of products are in it, when it’s going to be available and how we can get hold of ASD Performance? The products I am releasing initially include: a Pre workout Thermogenic Fat Burner; a Nitric Oxide Pre workout enhancer, which will give you great pumps and increased energy and provides for an overall awesome workout! Glutamine, which helps you recover from those gruelling workouts and Branch Chain Amino Acids (BCAA). These products will be sold in both the UK and USA, and will be available June 2013! To get hold of my products you will need to visit the ASD Performance website which is currently being developed. It will be online and ready to go in June 2013! After the initial release of these products I will also be releasing several other products, ranging from protein shakes, ZMA, multivitamins, acai berry (The super fruit) supplement etc. There will be a very wide product range, tailored to every consumer.